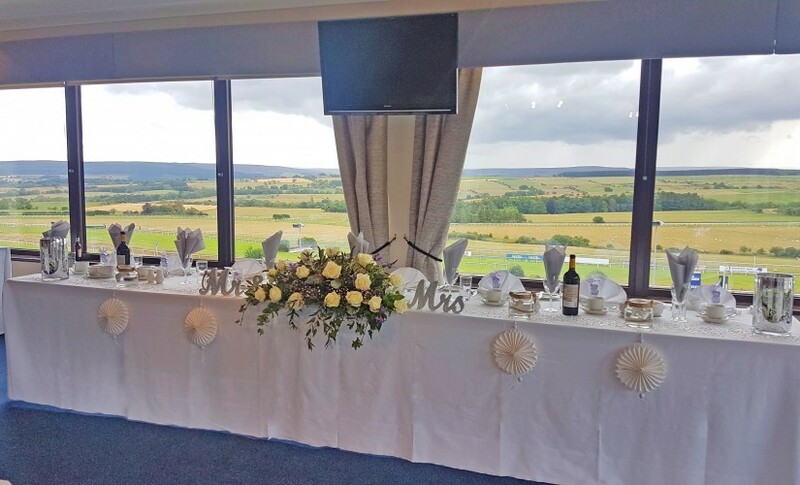 Hexham Racecourse offers an exclusive wedding and reception venue at Yarridge Heights, with spectacular views of the beautiful Northumbrian countryside. Our experienced and highly skilled wedding team are here to plan your day to perfection, ensuring your special day reflects your individual personality, tastes and style. We will work with you to create an unforgettable meal, whether it is a traditional wedding breakfast or a bespoke themed menu… Let your imagination run wild. The Henderson Suite can seat up to 120 guests or for a more intimate wedding, our private boxes are ideal for seating anywhere from 10 to 70 guests. Our wedding venue offers privacy, peace and total exclusivity so that you can relax, enjoy and most importantly have fun. 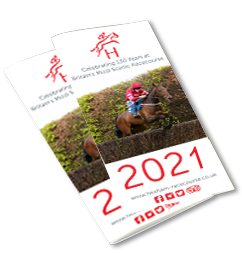 For that pre-wedding pamper night with the girls or for travelling guests, why not try our Racecourse Lodge. With four twin bedrooms, two shower rooms, kitchen and dining area complete with stunning views from the patio, this is a wonderful addition to any wedding party. So relax, pamper and enjoy a glass of champagne before or after the big day.